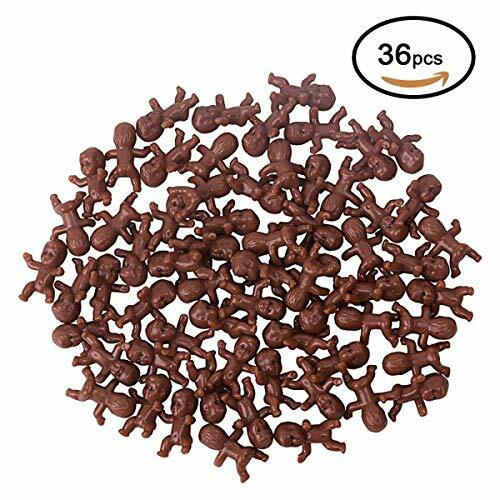 80 Pieces mini plastic baby favor supplies for baby shower and ice cube game, Latin, 1 inch Adorable style: The mini plastic babies are in unique posture, open arms, half squat in the air, unique baby hair and expression on his face make the mini babies cute and lovely. Safe and durable: The mini plastic babies are made of hard plastic, which is non-toxic and non-odor, you can use it for many times, and the color will not fade easily. Wide applications: The mini plastic babies are good party favor supplies, suitable for baby shower, favors, ice cube games and other occasions, also you can send it to your friends as a gift. 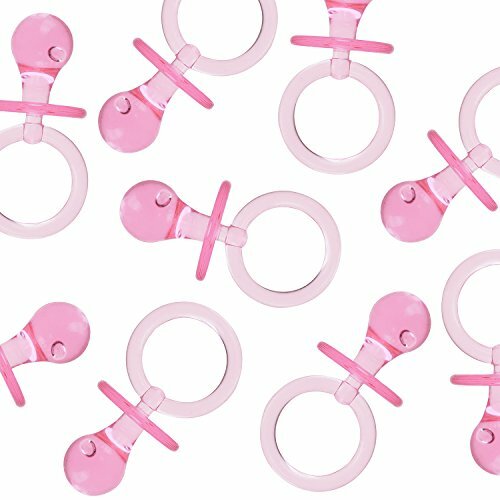 Specifications: Size: 1 inch/ 2.54 cm in length, 0.67 inch/ 1.7 cm in width Material: plastic Quantity: 80 pieces Package includes: 80 x Mini plastic baby favor supplies Note: Small parts, please keep it away from kids under 3 years old. Inedible items and chocking hazard exist, adults supervision required. 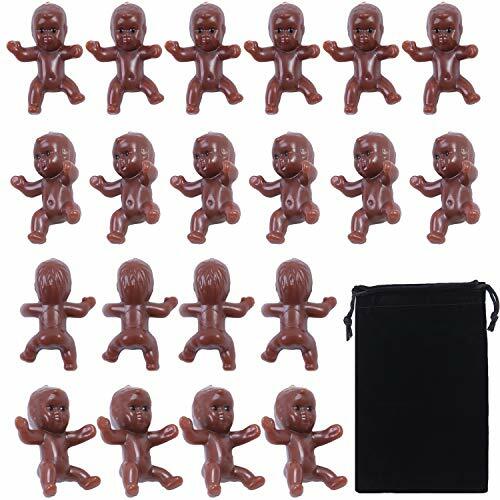 36 Pieces mini plastic baby favor supplies for baby shower and ice cube game, Latin, 1 inch Adorable style: The mini plastic babies are in unique posture, open arms, half squat in the air, unique baby hair and expression on his face make the mini babies cute and lovely. Safe and durable: The mini plastic babies are made of hard plastic, which is non-toxic and non-odor, you can use it for many times, and the color will not fade easily. Wide applications: The mini plastic babies are good party favor supplies, suitable for baby shower, favors, ice cube games and other occasions, also you can send it to your friends as a gift. Specifications: Size: 1 inch/ 2.54 cm in length, 0.67 inch/ 1.7 cm in width Material: plastic Quantity: 36 pieces Package includes: 36 x Mini plastic baby favor supplies Note: Small parts, please keep it away from kids under 3 years old. Inedible items and chocking hazard exist, adults supervision required. 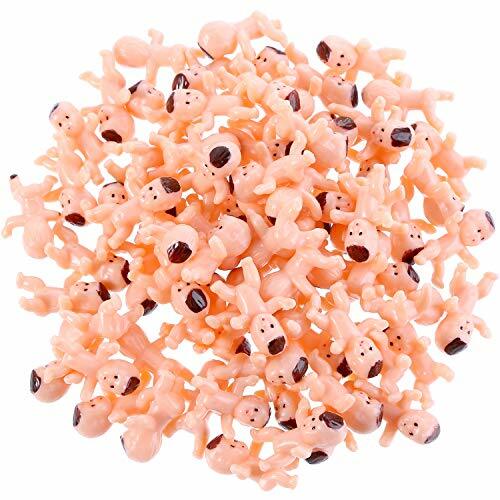 Specifications: Size: 1 inch/ 2.54 cm in length, 0.67 inch/ 1.7 cm in width Material: plastic Quantity: 100 pieces Package includes: 100 × Mini plastic baby favor supplies Note: Small parts, please keep them away from kids under 3 years old. 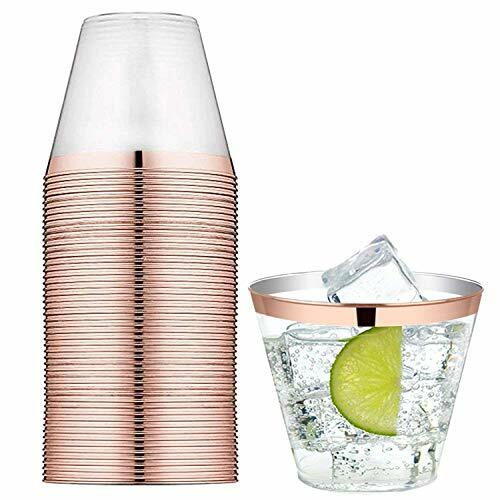 Beautifully designed plastic cups, perfect for your next event! 13.5" milk bottle made of clear plastic with a easy spin off top lid (CANDY NOT INCLUDED). It is a coin bank with the slit on the lit for sliding coins and bills. 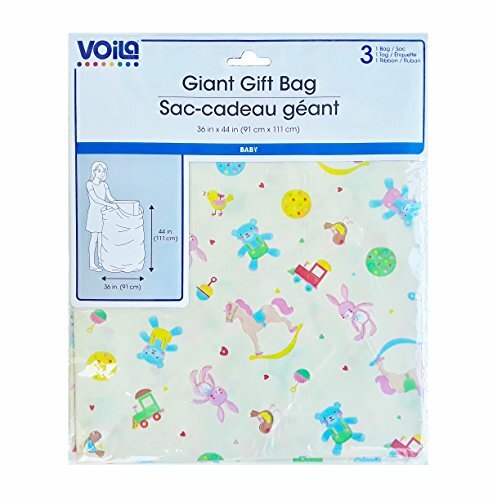 It can be used for decorations, party price, or for baby shower games. 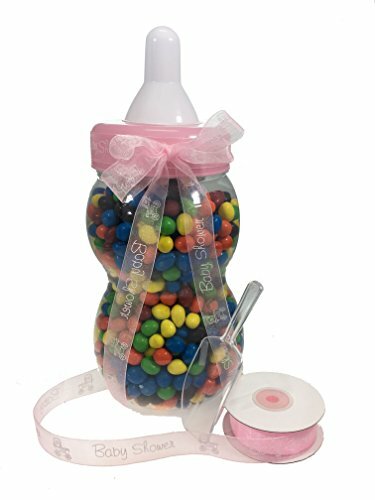 Game idea: Fill the baby bottle with candy of choice. Have the guests estimate the number of candies that are contained inside the bottle. The person with the closest number will win. Bottle may be decorated with ribbon, gemstones, figurines, baby shower ornaments, etc. to use as a table centerpiece or for giveaways for guests. Shopping Results for "Plastic Baby Shower"